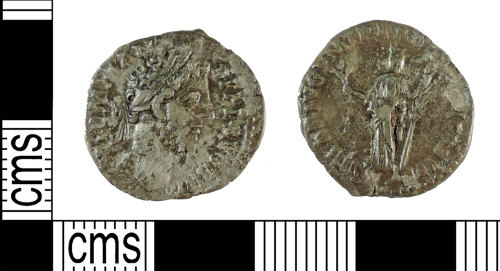 A silver denarius of Commodus dating to the period AD 186 - 187 (Reece Period 9). HILAR AVG P M TR P XII IMP VIII COS V P P depicting Hilaritas standing left holding branch and long palm. Mint of Rome.